I’ve often heard people talk about when is the best time to book flights (apparently its Tuesday nights). And there has been a rise in airfare blogs such as Airfare Watchdog and CheapAir’s Blog. 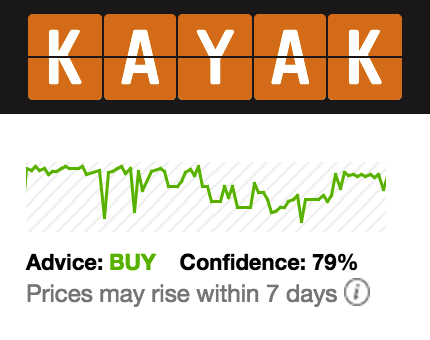 Even online flight booking platforms such as Bing and Kayak are starting to offer advice on whether prices are trending up or down and whether now is the best time to buy. Recently, I came across a dataset of about 6 months worth of internal US flights prices data. 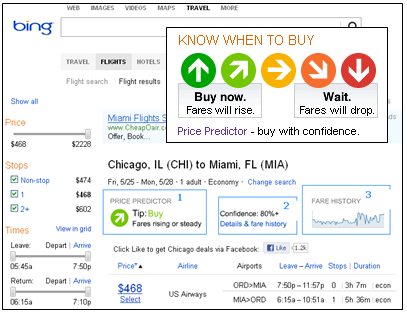 For about 100 popular routes, the dataset had the time and current price for the future flight. I wanted to see whether we could actually predict directional changes in price with any confidence. I built a model to try to predict whether the price would drop by at least 10% in the next 7 days. Using only historical price returns and weekly updating of the model parameters, I calculated the daily out-of-sample performance. The results were much better than I expected. 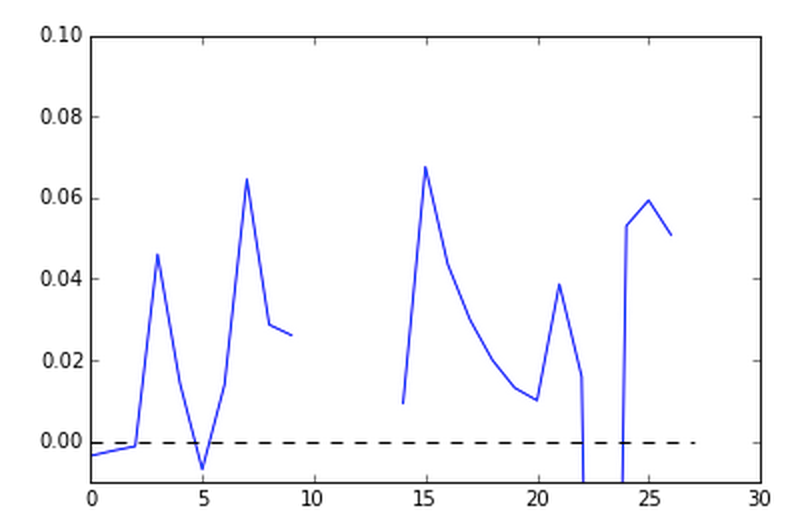 Firstly, the 2 parameters in my model were reasonably stable over time – a key property of a well defined model. 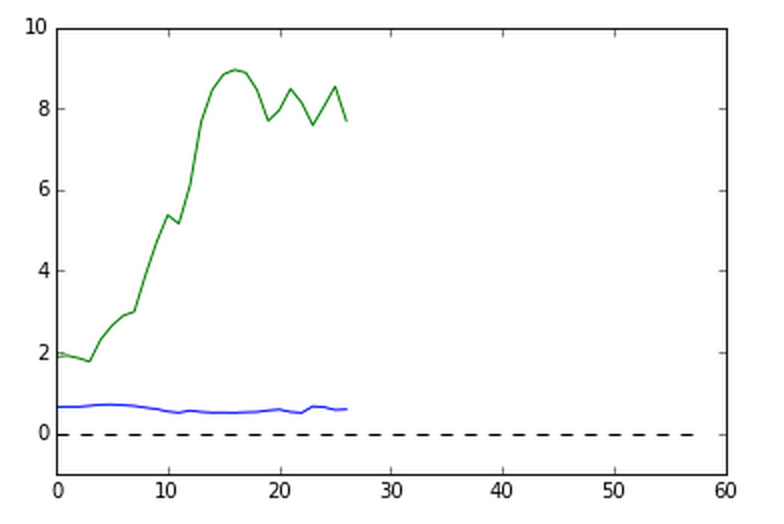 And secondly, the out-of-sample R2 (measure of performance) was consistently positive and around 5%. More concretely and actionable: for the dataset I was looking at, the price actually dropped 18% of the time (to below 10% in the proceeding week), the model made a prediction that the price would drop 13% of the time, and it was correct in 73% of these predictions. With more features data such as flight duration, number of changes, oil prices, seasonality i’m confident that the 13% could get closer to 18% and the 73% could be pushed even higher, maybe to 95%. This entry was tagged flights, predictive modeling, r2. Bookmark the permalink.